Well the New Year has begun. It will take me all of this new year to quit writing (2015). Praising the Lord for another New Year, how about you? I wanted to share my New Year Tablescape with you. (funny because I was out of town for the New Year) but....I still could look at it right???? Started out with these pretty chargers my daughter Melissa bought for me. Don't you love the color? 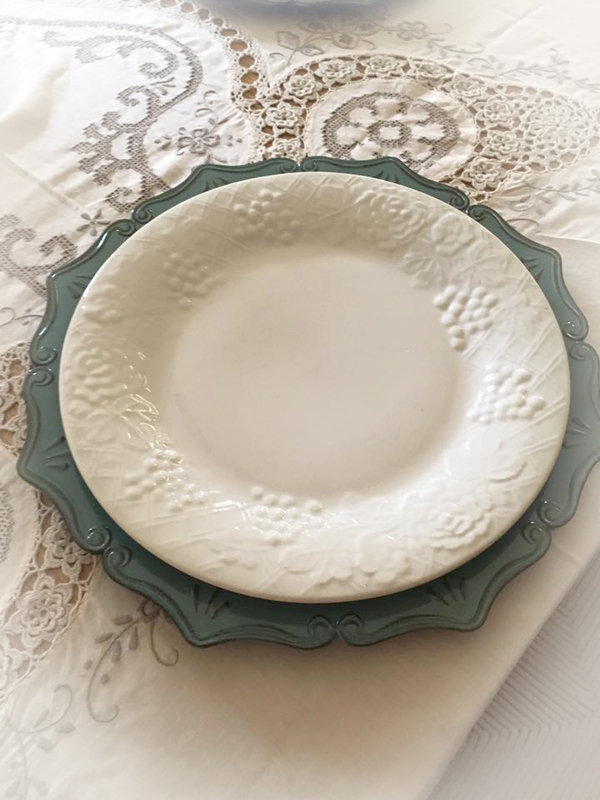 And I decided to use some yard sale dishes I bought cheap of course! But I must say right now they have become my favorite dishes. Look at my Tea pot! Don't you just love it? 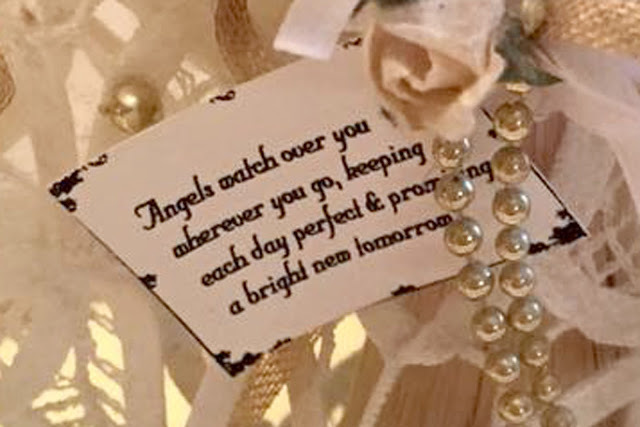 The ladies on our Ministry Team at my church gave me a lovely basket packed with timeless treasures and ooh I could not wait to put those pretties to good use. I love how it all started to come together. 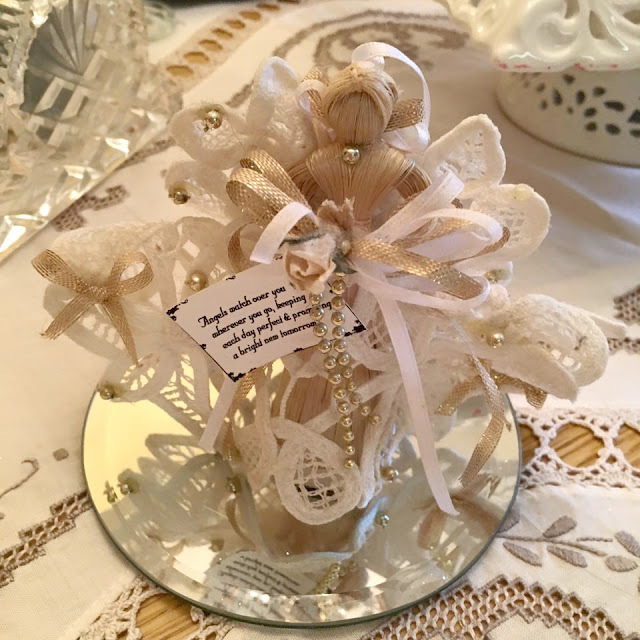 I wanted a little something different so I made these little centerpieces to go in each place setting. Turned out quite cute don't you think? My napkins came from Lil' Dolly's on one of my mountain trips. 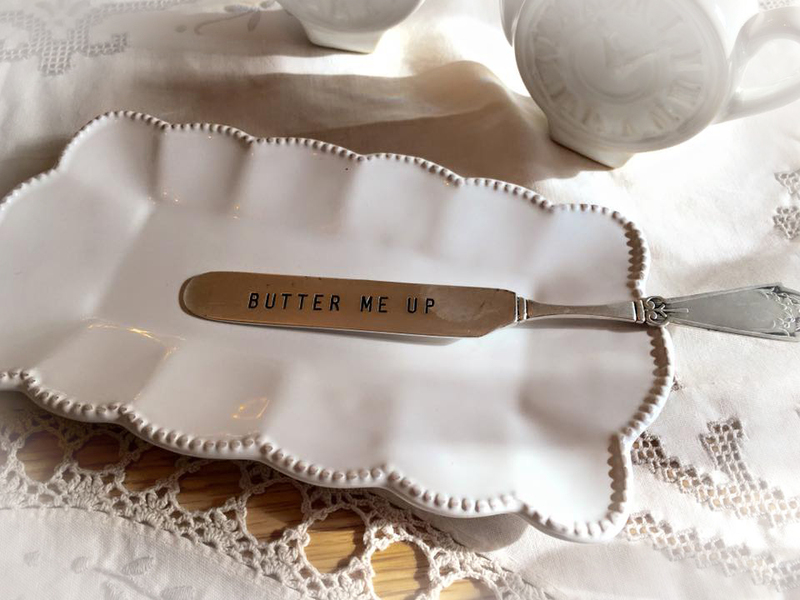 Isn't this the cutest little sugar dish ever? The salt and pepper shakers are so stinking cute! How about a little butter? And of course if you have a teapot you must have a teaspoon right? 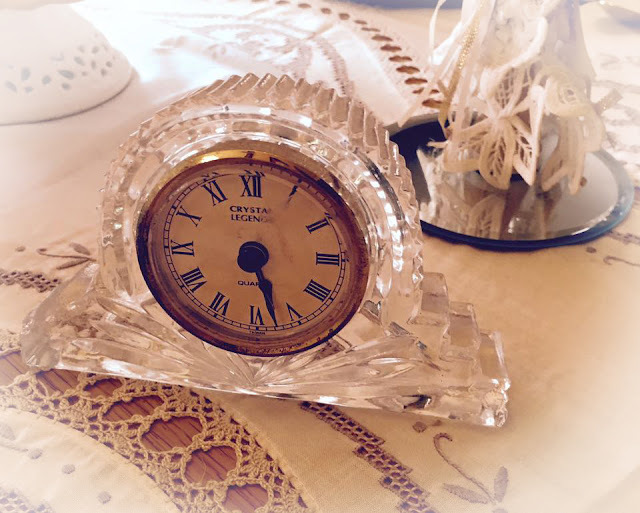 A vintage clock added to the table quite nicely. An angel that was given to me years and years ago was a perfect touch. 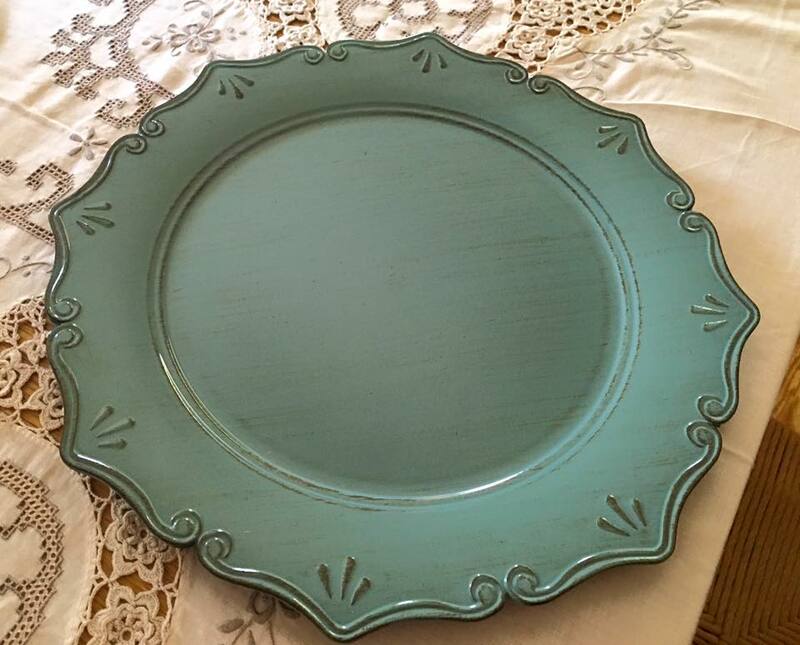 My pretty cake stand was another yard sale buy years ago. It was PERFECT for my tablescape. 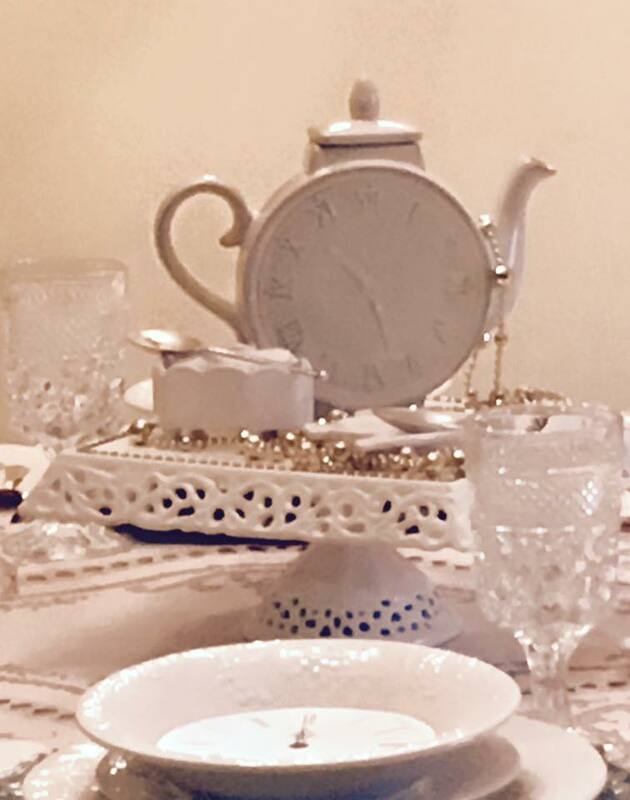 I love the simplicity and elegance of my tablescape. 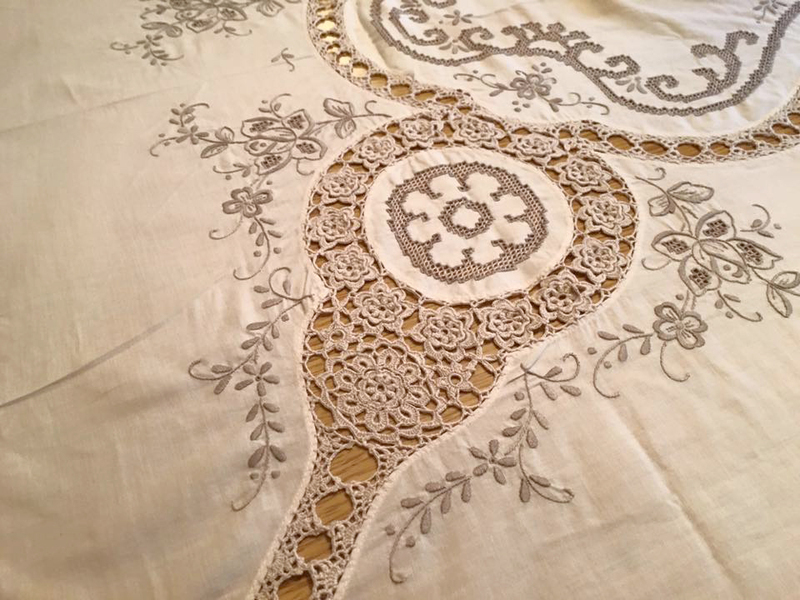 My sisterinlove Lisa gave me the beautiful tablecloth. So many beautiful details in this tablecloth. I must say...I am quite happy with the New Year Tablescape. My table is a farm house type table. It has two chairs and two long benches. My grandfather made my table for me years ago and to be honest there is no amount of money that could buy it from from me. I love it. I seldom cover the table with a runner or tablecloth for that matter because I love the wood. But since I only have two chairs I decided to doll them up just a bit. In my basket of goodies from the sweet ladies at church was 4 large beautiful napkins so why not put at least two of them to good use right? I had some pretty grosgrain ribbon and what ya know...it was perfect! 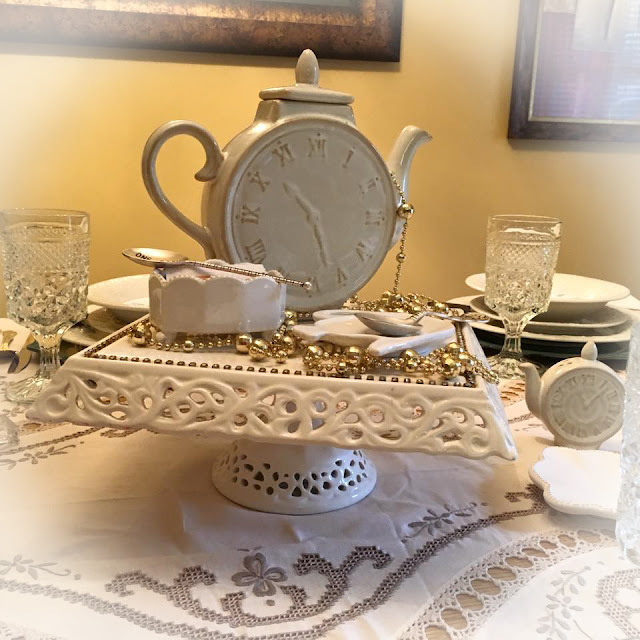 And since the New Year has begun I took the little centerpieces I made out of the bowls so I can truly enjoy my tablescape for a while....WELL....just a little while because my mind is already brewing on the next one! 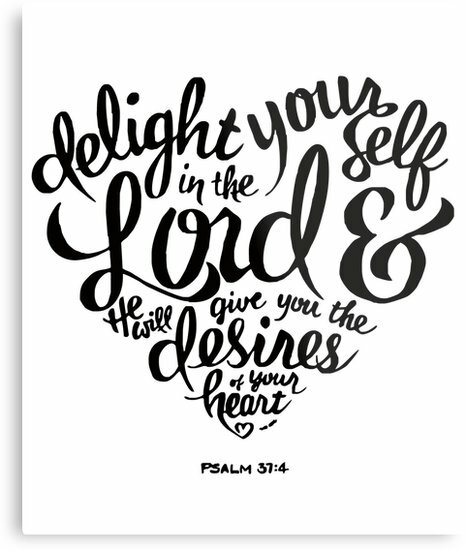 Well most of you that have blogged with me for some time and my closest friends know that the Lord began giving me a WORD to focus on, to think about and to look for meaning in 2013. In 2013 my word was Peace. In 2014 my word was Rejoice and in 2015 my word was Praise. It has amazed me at how the Lord has shown me so many things through the simplicity of a WORD. I could give you testimony after testimony on each of these words. 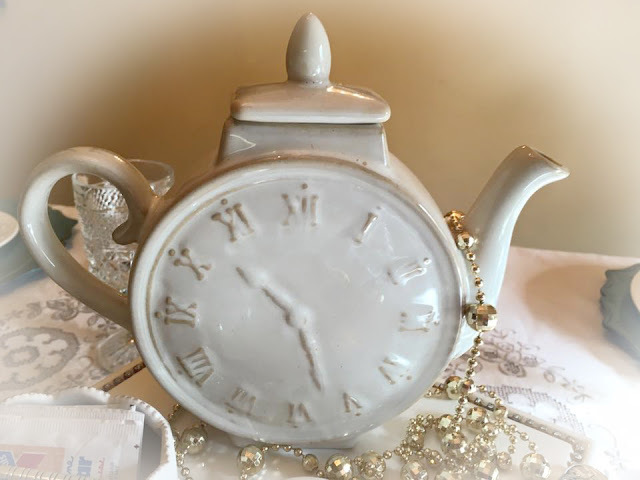 I want go into a lot of details due to the sake of "time" but I will never forget being in such a tizzy one day thinking about how bad things have become in this world and one day while doing my daily devotional the word PEACE popped up. The Lord's Word was clear when He said that He gives peace NOT as the world gives but HIS PEACE! With the word rejoice there was times I had to purposely out loud say, LORD, I CHOOSE TO REJOICE because rejoicing was hard in some situations. PRAISE...awe...so easy to praise Him when things are going good right? But what about those times when things aren't like you want them to be? PRAISE HIM no matter what. So I began to pray and ask God to give me the WORD He desired. I can tell you my desire was something totally different. I will admit to you that I wanted the word SIMPLIFY! About the time I was praying for a word my life seemed to be much more busier than I like for it to be....But one day during my prayer time I knew the Word I was to focus on for 2016 was "REFLECT". It just seem to come out of no where! 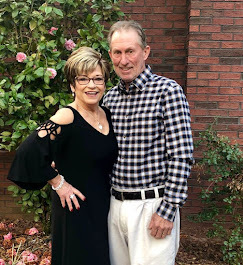 I shared my new word with my friend Darlene and said to her, "I have no clue where the Lord is going with this but this is my new word". She immediately gave me these words: "When we reflect on all that Christ has done for us, we can be thankful, TRUST Him to continue taking care of us and learn that we need to be STILL". The word REFLECT means to think deeply or carefully about, to meditate on. To chew on, ponder on, think about. I found it interesting that REFLECT also means; Something that reflects comes back to you. If you look in a mirror, you will see your reflected image. With that being said...WHAT TYPE OF IMAGE DO I WANT TO REFLECT to others and to myself? 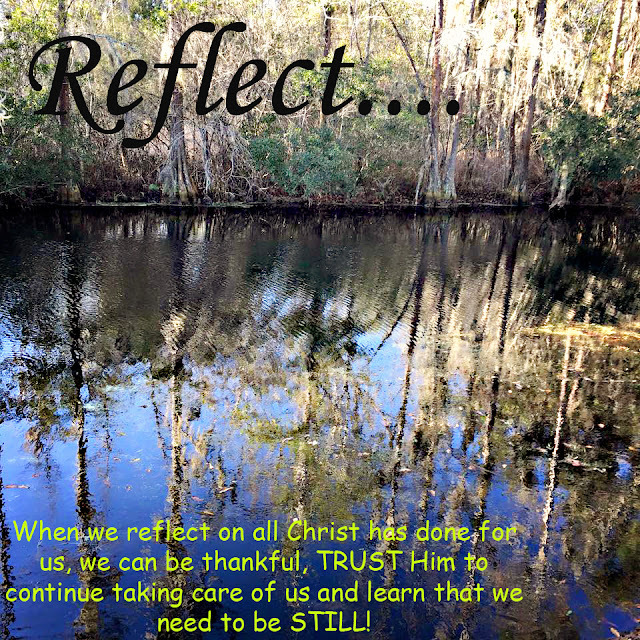 What things do I need to truly reflect upon? Oh I see God in the midst of this wonderful Word this year! My prayer is simple for the New Year....may I reflect CHRIST! 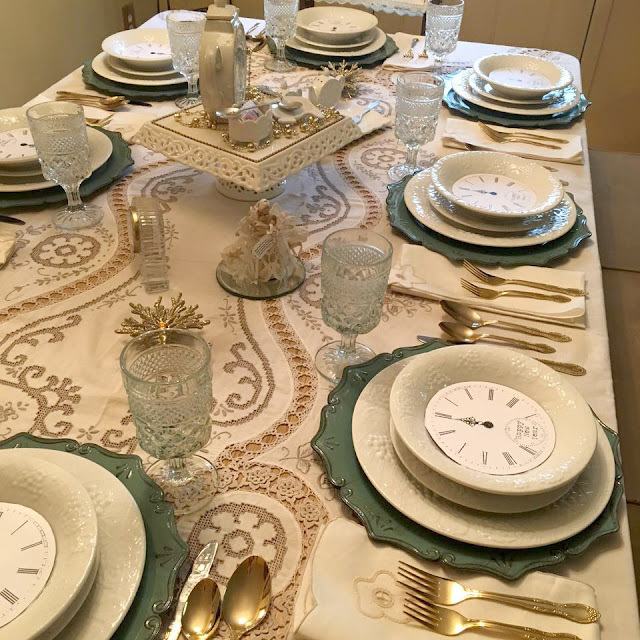 What a beautiful New Year's tablescape! I love that tea pot and those salt and pepper shakers! Those cute spoons and knives are so stinkin' cute! I just bought a cute little knife like that that says "spread the love" but now I see I need to add more to my collection! Cindy, your table is very pretty. I love the salt and pepper shakers. Too cute. Well if I need to pick a word for 2016 I think mine is NO! Got to learn to say no! LOL! Thanks Connie. I think I need to change my word to NO too! Ha! 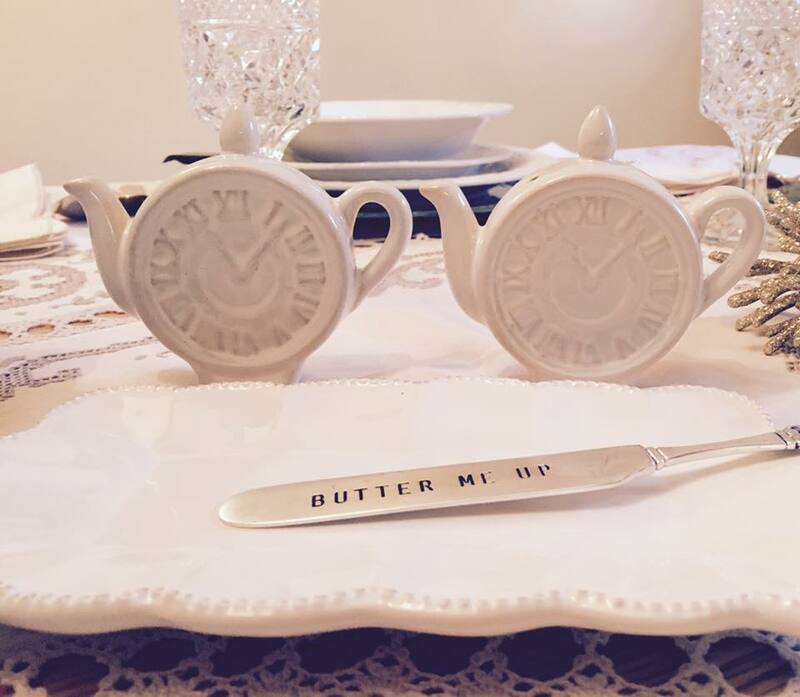 Your New Year tablescape is lovely with lots of inspired touches. 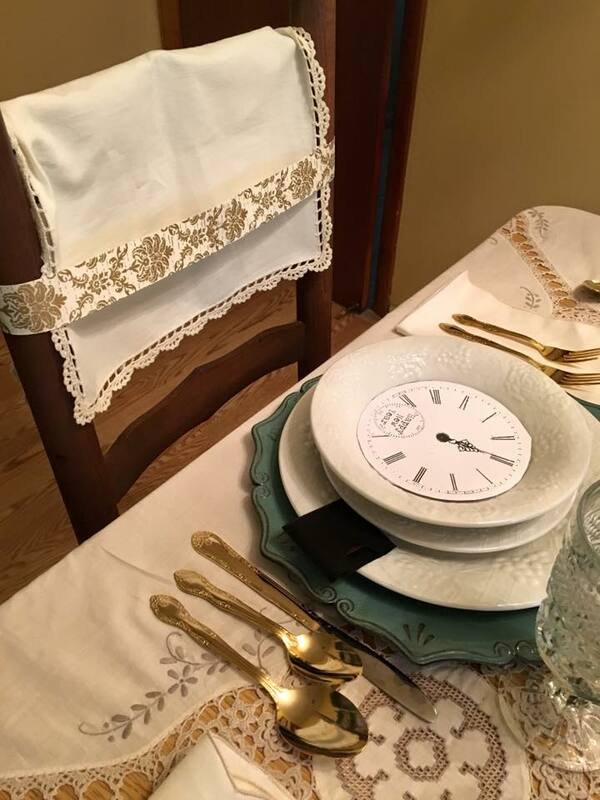 I like what you did with the clock in the center of the plate and the napkins decorating the chairs. Love your word and I so agree with your friend. With this crazy world we're living in, with so much violence and hurt and pain, we can still REFLECT and PONDER this PRESENT moment we're living in...and on ALL He's done for us in the past...and is going to do in the future. 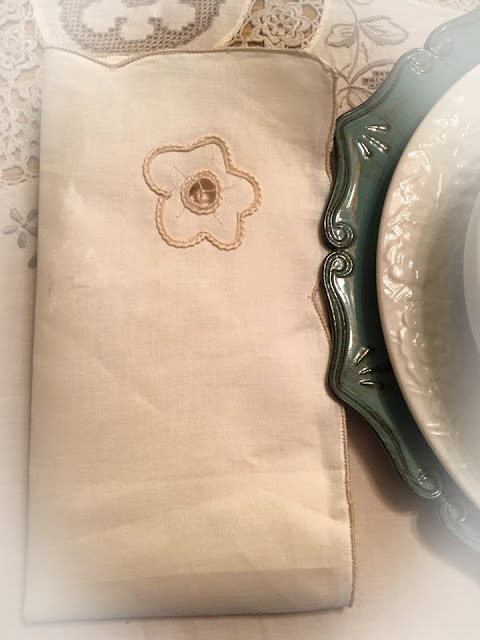 Love your tablescape...and that tablecloth is gorgeous! Happy New Year, sweet lady! Thanks Deb. I am loving my table and God is already at work with my word! Dear Cindy, Happy New Year my precious friend. Love this post filled with beauty in your gorgeous tablescape to the wisdom in the word you chose for 2016. Love it and the words your friend said to you was perfect. What a lovely tablescape! 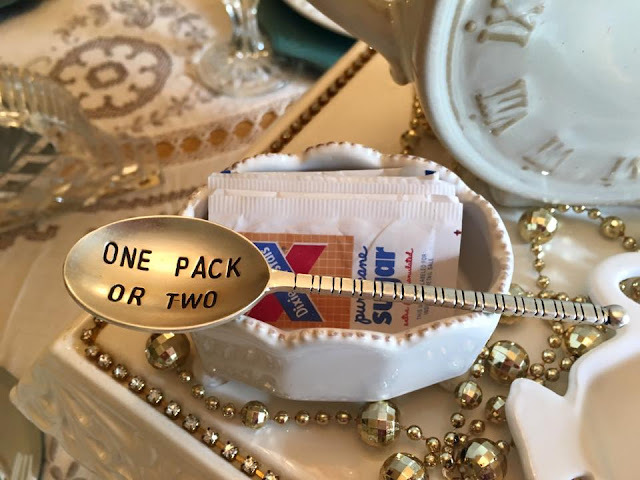 Those chargers and tea pot are to die for and the spoons and butter knife are so darn cute!! Fantastic!! I love your Word for 2016. It sounds perfect!! Thanks so much for stopping by and for your kind and encouraging words. I truly appreciate it!! Thanks Debbie. I am praying for a wonderful new year with your new word choice! 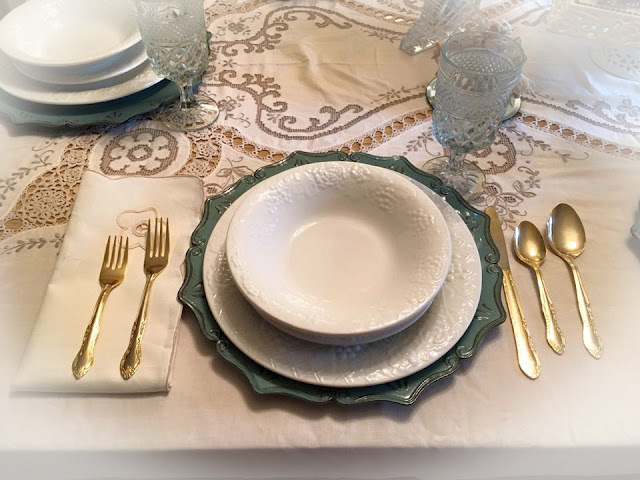 Your tablescape is gorgeous! I love the colors and the addition of clock faces. 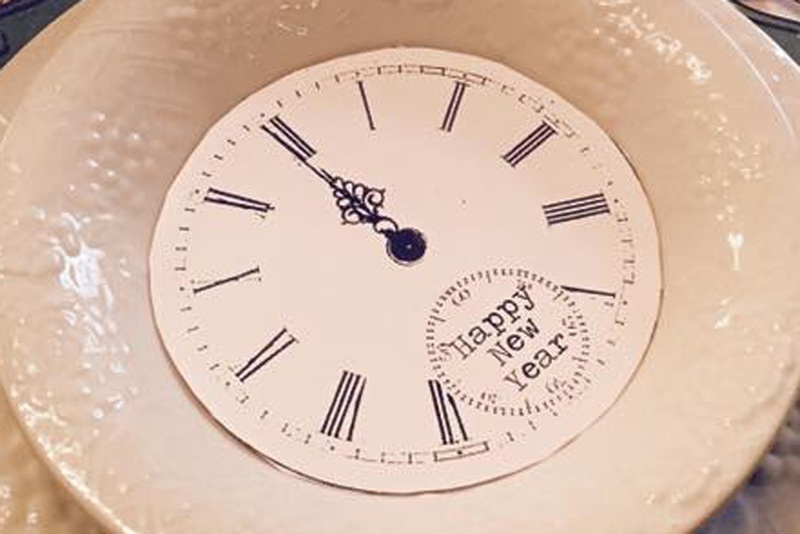 Happy 2016 to you! Thanks Betsy! I loved the little clocks in my bowls too! Hated to take them out! I love your table scape and your 2016 Word fits you...it seems everyones words fit them...but I am just not sure about mine, yet (smiles). Thank you for the smiles you bring...many Happy New Year Blessings to you. Linda, I love those dishes! Well, I used to tease and tell others that I would hide the dishes under the bed so my man wouldn't see them! But he knows I am a dishaholic so it is what it is at my house now! Ha! You will get a word...no doubt! 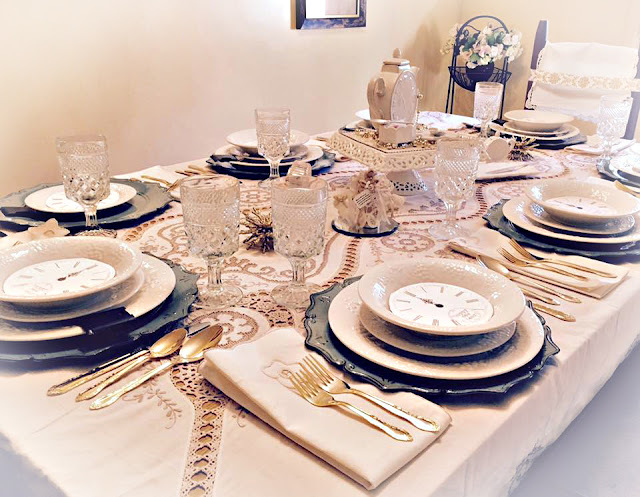 Cindy, your tablescape is gorgeous and very heartwarming! Absolutely gorgeous table!!! That sure would have been a beautiful place to sit on New Year's and REFLECT on God's goodness in 2015 and a blessed future in 2016. You are so clever Cindy! 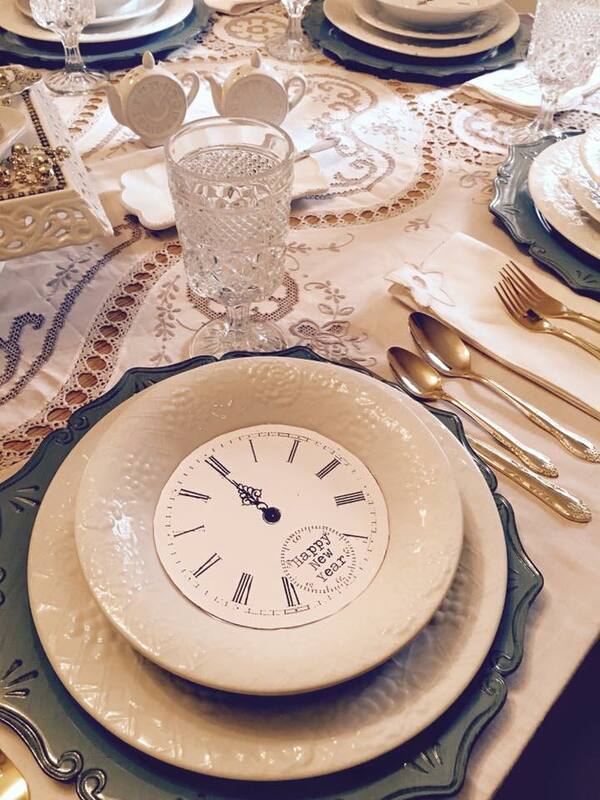 I love everything about this tablescape, especially the chargers from your daughter and the clock theme. What a wonderful place to gather for a family meal. Such a beautiful word for 2016. It calms me and encourages me to stop and pause at His command. I am going to love reading your posts this year at all you'll be reflecting on. And that table! It beckons me to sit awhile and breathe in elegance! You inspire me. Mary I so wish you could sit at my table for a while and we would talk up a storm! LOL! Happy new year, Cindy!! What a beautiful way to start it--sharing in your beautiful tablescape (I'd been looking, looking, looking at that tablecloth well before you acknowledged it--it's GORGEOUS! My kind of tablecloth!! ), and in your teachings. I love reading what each word has come to mean to you each year, how you came upon REFLECT, your friend's comment to you, and how you presented it to us. I can hardly wait to see what you teach us as you learn! I wish you the best in 2016, all His will. Awe Zuni. you are so sweet! Yes, I love the tablecloth too. So many pretty details in it. I've already had someone try to buy it from me! LOL! It was a gift...NOT SELLING. 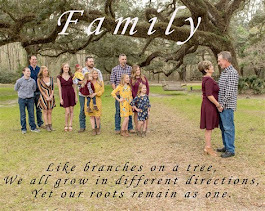 Hope your New Year is wonderful to you and your family. Your table is gorgeous, dear friend. 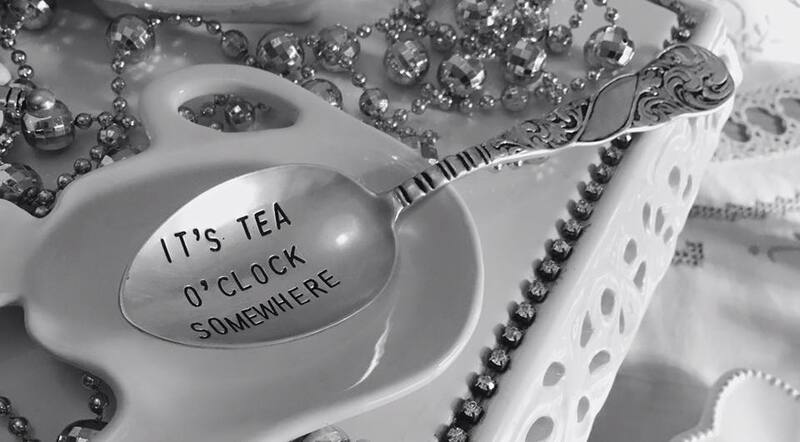 I love all the bits and pieces - and your teapot and the little spoons are perfect! Your word for this new year is wonderful. Mine is a repeat of a few years ago. I shared more about it on my blog recently. It seems I still have a lot to learn - in new situations - so I'm embracing it in a new way this year. Thanks Adrienne. I think we will always be learning my friend. Your table is just beautiful. 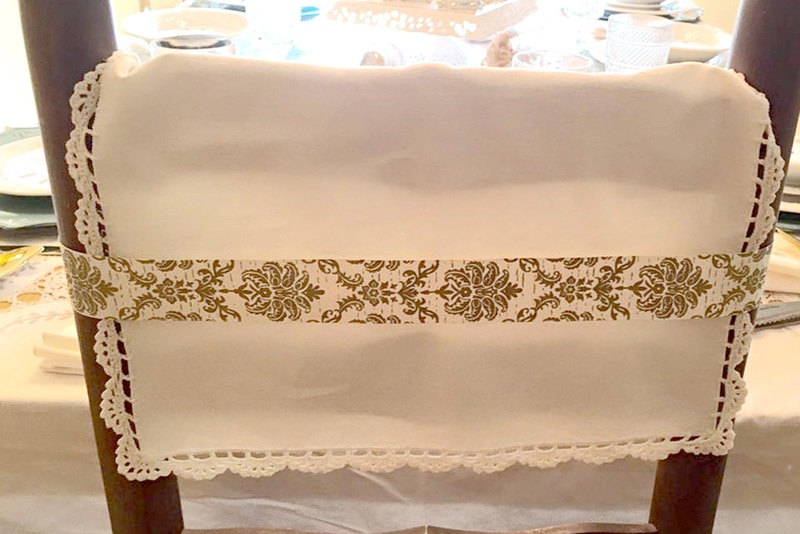 I adore the table cloth and napkins! It's all so pretty. Reflect is a wonderful word. Have a blessed day. Thanks for the reminder to choose a word for 2016. This tradition has slipped away from me recently. Hi Cindy, Happy New Year! I love your beautiful tablescape! I have 4 grand kids too! You have a great site. I am still thinking about my word for the year. So enjoying how you are embracing the New Year and the energy in which you are receiving it. This table setting is exquisite and such a special way to bring family and faith together and you always do it with such style and grace. My philosophy for the New Year is simplify, simplicity, simple and through it all I want to give grace and thanks to my Heavenly Father. Thank you for your gracious and blessed presence in my world. Awe thanks Jemma so much. I love all your words. I will be reflecting more now having read your post.